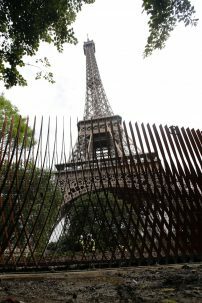 When French President Emmanuel Macron launched his “Make Our Planet Great Again” initiative in June 2017, it sparked much political commentary. President Macron’s viral video appeal to American scientists to come innovate in his country arrived soon after President Trump announced his intention to withdrawfrom the Paris Climate Accord and amid reports of U.S. disinvestment in climate research. Many believe the “Make Our Planet Great Again” slogan was a sneer at Trump’s campaign slogan, a way to score political points out of the U.S.’s climate science slow down. Lamont research professor David Goldberg saw another side to this. So, shortly after the new year, Goldberg, who is on the forefront of exploring a promising possible solution to the global warming crisis facing the planet, returned to Columbia University’s Lamont-Doherty Earth Observatory after a visiting appointment at the University of Montpellier in the south east of France on a “Make Our Planet Great Again” award. 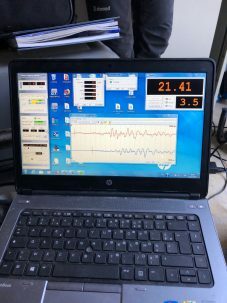 Goldberg has been leading important carbon capture and storage technology research projects and spent six weeks in France to collaborate with a specific group of scientists, examining data they had gathered in connection with a key carbon mineralization research project based in Oman. The multinational project, led by Columbia professor Peter Kelemen, is exploring how geologic formations, particular to Oman and a few other places around the world, naturally take CO2 from the air and turn it into stone. Kelemen and a cadre of scientists are working to understand and scale up this natural process to, hopefully and theoretically, remove some of the billions of tons of carbon dioxide human beings have generated and sent into the air since the beginning of the Industrial revolution. Similarly, Goldberg has been a lead innovator in the mineralization of carbon dioxide under the ocean floor. Two projects that he has been closely involved with, Carbfix and Cascadia, have demonstrated that injection of CO2 and water into basalt volcanic rock turns silicate material into carbonate in a matter of years. If this process can be expanded, it could be a solution to the crisis level airborne carbon dioxide in Earth’s atmosphere. “[The Oman project] is, in a sense, a natural analog to what we’ve been trying to do with Carbfix and the off-shore projects. They are all linked in substance with striving to understand the natural system of the mineralization of carbon. Once we understand that, then we can think about how to engineer the system to enhance it and to speed it up,” explained Goldberg. Goldberg’s six weeks at the University of Montpellier enabled him to further build working relationships, strengthening the global approach to carbon sequestration and mineralization research.